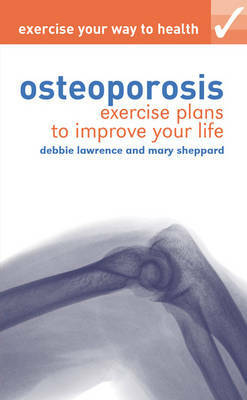 This is a book aimed at members of the public who have been diagnosed with osteoporosis. It is also suitable for those in the 'at risk' category, including women whose female relations have suffered from osteoporosis. As with all the books in the Exercise Your Way to Health series, this is a clear, concise and jargon-free approach to a condition that affects a vast number of people. First it introduces the topic and explains how a healthy lifestyle, exercise and diet can slow the development of the disease. Then it provides a carefully selected series of exercises designed to combat the debilitating effects of osteoporosis. Ranging from chair-based exercises suitable for advanced cases to more energetic exercise routines, these are tried and tested ways to help people tackle osteoporosis head on and improve their health and quality of life.